I’m not going to beat around the bush here. For about the last three years, I’ve avoided SMOK products like the plague. I disliked most of its tanks and mods as well as its first run of pod mods. I was pretty apprehensive about the SMOK Nord to begin with. I kept hearing great things about it, though, so I decided to go out and buy a couple of units. That was about three weeks ago and since then I’ve been having a blast with this pod mod. It’s dirt cheap, especially compared to units like the MiPod and Lost Vape Orion, it runs both sub ohm and MTL coils, it’s refillable, it looks good, and it has stellar battery life. I am actually really struggling to find any actual negatives about this pod vape, as it performs so well. The flavor is great, the draw, while a tad loose for a true MTL vape, is still very good, and the battery life is splendid – like all-day-vaping splendid. I took mine on a trip to Biarritz over the weekend and it didn’t miss a beat. Not once. And for less than $25, that is truly outstanding. This thing comes HIGHLY recommended, basically. For value for money, flavor, performance, and everything else in between. The SMOK Nord hype is 100% real. Do yourself a favor and grab one. You will not regret it. 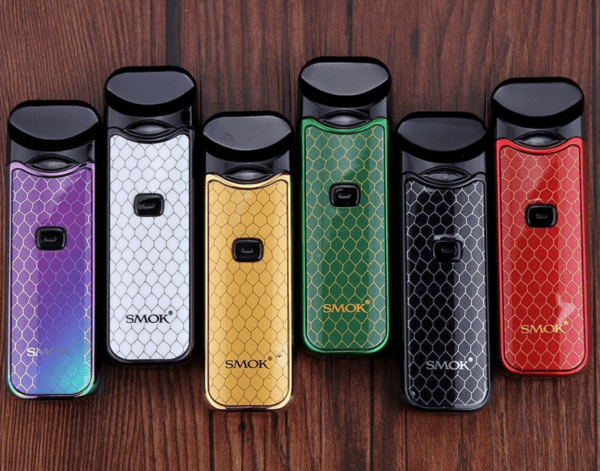 SMOK is no stranger to pod vapes. It has made a bunch during the past few years, and most of them weren’t exactly great in my opinion. 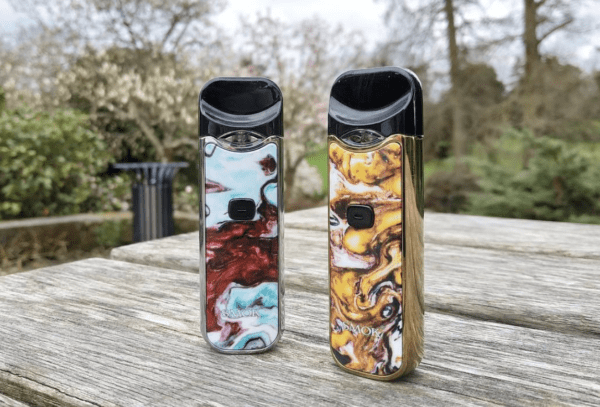 The SMOK Nord, however, represents a complete turnaround for the company – in more ways than one. Any good pod mod system needs to be portable. That’s kind of the entire point. 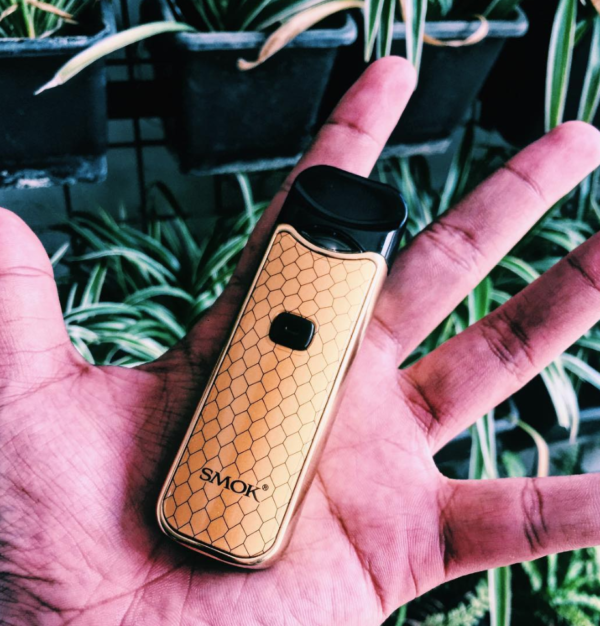 The SMOK Nord isn’t the smallest pod mod on the planet, but it is perfectly proportioned and sits comfortably in the palm of your hand, making it ideal for stealth vaping. Exact dimensions are as follows: 94x30x18.8mm and it is powered by a 1100mAh internal battery. The mouthpiece comes off entirely and, unlike most pod mods, it runs actual coils which you slot into the bottom of the mouth-piece. The SMOK Nord charges via microUSB, and it charges pretty darn quickly too. I like to top mine off when I’m not using it. This way, it’s always got plenty of battery for when I’m out of the house. The resin models look A LOT better, IMHO. If style is important to you, go with the resin options. If not, you’re going to be 100% fine with the standard color models. 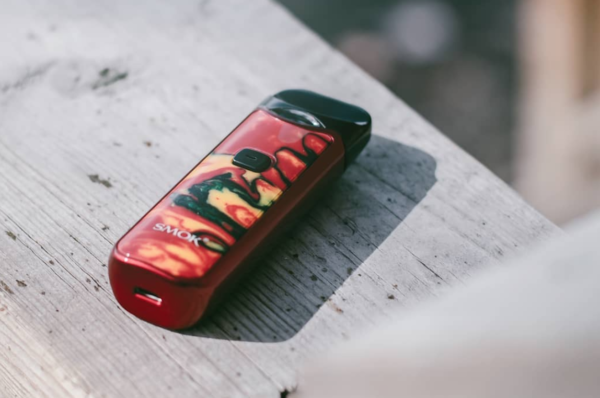 Firing the SMOK Nord is simple too: it has a button located on the front, which you can also use to check battery life (two clicks) – green is over 70%, orange is over 50%, and red is below 30%. Installing coils in the Nord is simple as well: simply prime them with a couple of drops of E Juice, then slot them in and they lock in place – just make sure the indents on the coil heads are putting out east and west. Once you’ve done that you’re good to start vaping. Overall, the design of the SMOK Nord is super-simple and very classy. I really, really like it. The vape is simple to set up the first time and it vapes great from the get-go. Honestly, it couldn’t be simpler and I love that it runs actual coil heads too. The SMOK Nord’s main party trick is that it can do both standard MTL vaping and sub-ohm vaping. It comes with two coil heads: 1x 1.4ohm and 1x 0.6ohm. You can also buy ceramic coil heads for it too, though these come separately. Both coil heads are great, delivering excellent flavor and plenty of clouds. Even the MTL coil head kicks out a TON of vapor. Personally, I prefer the MTL coil heads. Why? Simple: you get better battery life and I like using Nic Salts E Juice in my pod mods. As noted earlier, you get two coil heads with the SMOK Nord. One for DTL vaping and one for MTL vaping. Both are excellent, delivering excellent flavor and clouds, but I do generally prefer the MTL coil heads as I like extended battery life and using Nic Salts E Juice in my pods. I don’t exactly have a good relationship with SMOK’s coils in its sub ohm tanks (spoiler: I loathe them). But in this instance, SMOK has freakin’ nailed the coil heads – they last for an eternity before burning out. Case in point: the first MTL coil head I installed in the SMOK Nord lasted over two weeks before the flavor started to waiver. The DTL coil head did almost as well too – around 10 days. This is very impressive in both contexts. I have ZERO complaints in this regard. Flavor with both coil heads is superb. I was actually kind of blown away by just how good the vape is on the SMOK Nord. 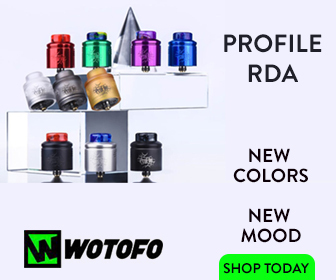 I mean, I’m a massive RDA user but since owning the SMOK Nord, I haven’t touched my normal setup in almost a month! The SMOK Nord runs a 1100mAh internal battery, and this is a very good thing because it means you get very good battery life. We’re talking all day vaping with the MTL coil head and a solid 8/9 hours with the more power-intensive DTL coil heads. I’ve haven’t been let down by the SMOK Nord’s battery life once. Even while on holiday, as long as I remember to charge it overnight, the Nord lasted all day with moderate to normal usage. For ultra-optimal performance, you’ll want to give the Nord a recharge for an hour or so halfway through the day, or just charge it whenever you’re not using it for extended periods of time. Doing this will ensure the battery is always around 80-100% full. Bottom line? The SMOK Nord’s battery life is fantastic for a pod mod. Easily up there in the top 1%, so if battery life is important to you know that you’re in very good hands with the Nord. Outstanding, basically. 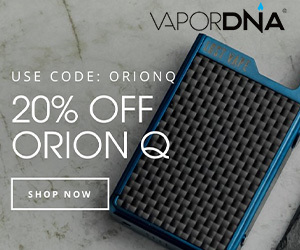 I don’t recall ever using a pod mod that I have liked quite as much as the SMOK Nord, with the exception of the way-more-expensive Lost Vape Orion DNA pod. It looks great, it’s simple to use, it has a great battery, and it kicks out a ton of flavor (with both coil heads). I own a lot of pod mods, but I don’t tend to continue using them after I finish testing. With the Nord, though, I’m still using it as my main vape, day in, day out, and will likely continue to do so for the foreseeable future. It really is that good! Should You Buy This Vape? Yes, you should. If you’re anything like me, and you tend to give pod mods a wide birth because of battery life issues and vapor quality, know this: the SMOK Nord is nothing like your run of the mill pod systems. The flavor and vapor quality is immense. The battery life is brilliant, lasting all day long, and the design and finish are near perfect. I love this pod mod vape and will be using it for a LONG time to come. 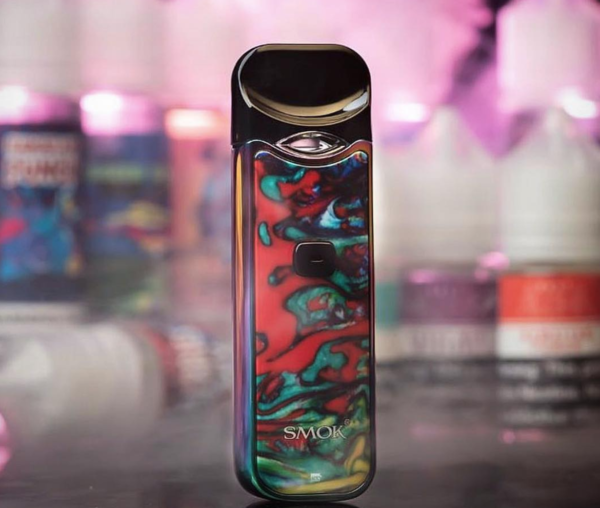 But the best part about the SMOK Nord has to be the price – it retails for just $23.95 (and that includes FREE shipping).